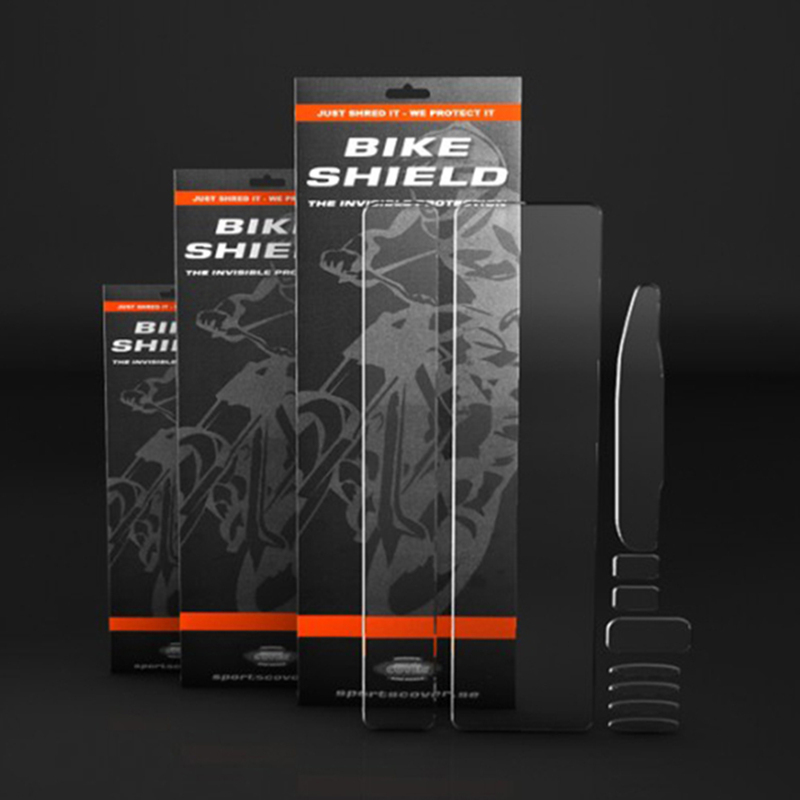 BikeShield keeps your bike in mint condition by protecting it from scratches, grit and stones. It offers clear advantages over other products which aim to provide invisible protection for bike frames. ON the bike it is invisible. Peel it off and the frames is like-new! More expensive than heli-tape but it works and doesn't discolour over time. Easy to install, and to cut to size. Good value to protect your bike from scratches and dirt from gravel and things on the ground when trailing in the forrest! Expensive but the best. A good investment if you love your bike.